Winter Warm Thermal Sport Gloves Motorcycle Hunting Travelling Hiking Cycling.. 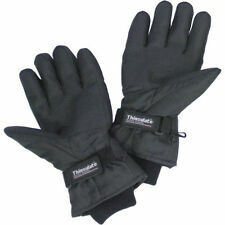 Warm fleece thinsulate gloves size large. 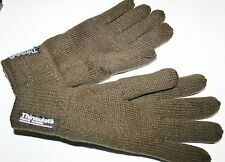 FLEECE FISHING GLOVES SIZE LARGE. 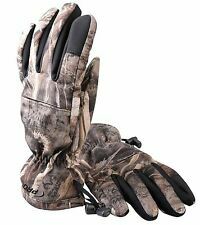 These fishing gloves are sure to keep your hands warm and protected. They're warm, waterproof and most importantly have the protection you want.Features 100% waterproof. Model: 081/ARCTIC/BK/04. 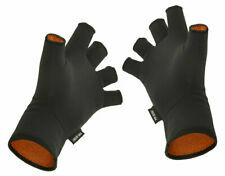 Celsius Neoprene Gloves are the ultimate in cold weather hand protection. Perfectly suited for ice fishing, these gloves are made with waterproof neoprene and feature a fleece lining for added warmth. Extended index and middle fingers and double reinforced synthetic palm protects against cuts and grazes when stripping. Comfortable fit - Stretch neoprene cuff with Velcro closure for secure, comfortable fit. 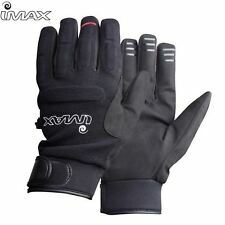 Imax Baltic Glove Black M. 100% waterproof and breathable very comfortable glove with superior feeling. Synthetic leather palm, 3 red/black silicon grip stribes, velvet lining, neoprene wrist and velcro cuff. 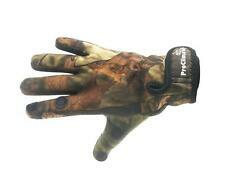 NEW Dark Green Fishing Finger less Gloves. NEW never been used. HIGHLANDER FALHER. • Thinsulate lining. SHOOTING/FISHING MITTS. • Can be used as gloves or mitts. • Extended cuff for added warmth. This gloves is with alloy steel protection armor, much safer. It is really necessary to wear gloves during riding in order to protect your arms even you are driving very slowly. With maximum protection for the joints fo the riders at the part of full range of finger joint anti collision protection. Matching the values of the rest of the tractech evo collection the tractech evo glove not only has the sporty looks, but the sporty credentials to match. Aramid thread is used in all the main impact areas and the palm is re-enforced with Aramid panels. Cold weather is part of the deal. Not just for ice fishing, either. Perfect for snowblowing, shoveling and all-around winter wear. Extra-long cuffs provide extended protection from cold and snow. Durable 100% polyester tricot 180gsm shell fabric with brushed & water-repellent finish. 100% waterproof by polyurethane lamination of 8.000mm and breathability of 3.000 mvp. Soft inside fleece lining. Great tools when you fishing and repairing in darkness places. The light is one your finger which exactly. 2x LED Cycling Flashlight Gloves (1Pcs Right Hand 1Pcs Left Hand). Lead the light to your operation area.